Today Baby Hazel is going to the park with her class and have fun in the sun. So many surprises will be in store when she gets there. 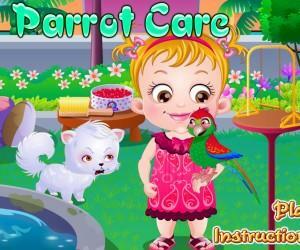 Baby Hazel Preschool Picnic is a fun game that you just use the mouse to control the actions. Help Baby hazel on her adventures, from getting ready to the fun in the sun at the pool. There are many fun things and challenges that you will have to take on in this game. The challenges are: help Hazel pack, keep the children occupied on the trip, and finally make their day, a day to remember. Hazel needs to get ready for the picnic at the pool with her class. She must be able to get all the stuff ready for the trip. You need to help her with her packing list. Help Baby Hazel and her parents get the things she needs for her trip, from the pack to the swim suit and the snacks. Here is the fun and the challenge. If you have ever traveled with children you know how hard it is to keep them occupied on the bus. You have to keep the kids quiet and entertained with songs and games. You must play games, dance, eat, drink, and also break up some bad behavior. You guessed it, characters in this game act just like real kids! When they arrive at their destination, you must get them ready to swim. Help Hazel get dressed and keep all the kids happy with those fun activities they love. Also, don’t forget to keep her safe by making sure she has plenty of sun tan lotion to prevent sunburn. Baby Hazel preschool Picnic is a fun game that will remind you how fun and challenging it is to keep children happy and entertained. This game is one that you can relate to, especially if you have children of your own. 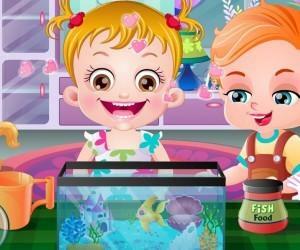 Hazel is a fun game that you will enjoy. Help Baby Hazel prepare for an amazing trip to the water park for her school picnic! Play tricks with her friends and have fun at the water slides. Enjoy!